Mopar Black Chrome single exhaust tip for the V6 and V8 2011-2018 WK2 Grand Cherokee models. The Black Chrome End Tip is made of stainless steel and is branded with a Jeep Logo on top. 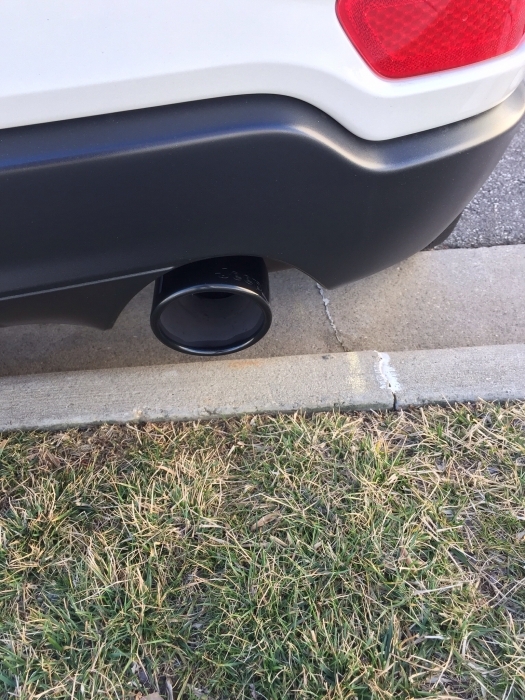 Exhaust Tips add a sporty finished look and enhances the appearance of your vehicle's existing exhaust system. The end of the tip is angled so they can be easily installed and fit perfectly. 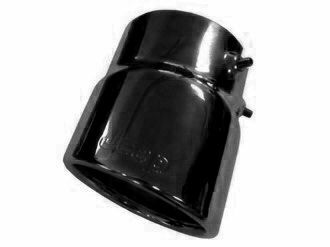 Black Chrome Single Exhaust Tip is meant to be used on single passenger's side exhaust tip. This was a nice upgrade to my 2017 Laredo. It took 5 minutes to install and has a nice factory look (without sticking out too much) and finish. I highly recommend. I bought two of these thinking it they could go on either side. I was wrong. Unfortunately, I've not heard back from customer support when I emailed and asked about a refund..
ConsOnly fits on passenger side. Very easy installation like other I was a bit disappointed in the finish of the interior of the tips. Also not sure if just for keeps screwed up or Mopar but I was missing the L wrench, I had to go out n find my own.